Young Again ... and Again ... and Again. Clay and Jennie Evans, an aged couple celebrating their 54th wedding anniversary on a trip to Florida, stumble into a mythical reality and are reborn as teenagers overnight. Chuck Van Soye's career has ranged from Army officer to Chemical Engineer to Writer and Editor for McGraw-Hill's Chemical Engineering magazine, to Sales & Marketing Executive for Du Pont. 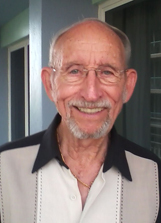 Now retired, Chuck relaxes with boating, fishing and authoring other books, such as his Pondering Life's Imponderables, The Renewables and Confessions and Misadventures of Charlie the Fisherman. Ninety-nine per cent of all the words I’ve written over the decades have been oriented towards highly technical, scientific reality. Writing it was boring, hard work, but I always liked what I’d written when it was done. One per cent of all the words I’ve ever written have been fiction. Writing them endowed me with pure joy, accompanied by excitement, surprise, laughter and even tears. Whenever my written thoughts become a completed novel, I marvel over my make-believe masterpiece. 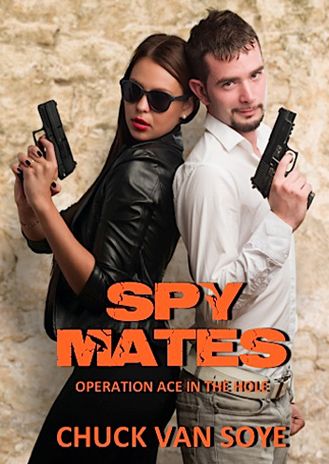 Bret Lee, a U.S. Army chemical engineer, retires to look for work in private industry, only to learn that the high-paying job he's offered at a Caracas fertilizer plant requires him to become a spy. And thus Bret and his Chinese wife, Chu-Lin, become enmeshed in the struggle for oil within the most dangerous city of the world. With help from the CIA, the Lees discover China's plan to control Venezuela's oil production. But these spy mates have an "ace in the hole" that might just trump China's play.